Krasnopuscha is, unfortunately, not very common and popular in Russia fish, which, however, is widely known in European cookery. It is quite oily, the taste is a bit similar to mackerel, with very tender meat. In restaurants in Europe, it is often not fried, but cooked in another way – make krasnogosky roll. Krasnopuscha belongs to the order of Perches, family Krasnoglinskoye and sold in stores commonly in the form of frozen whole. The weight of a carcass around a kilogram. 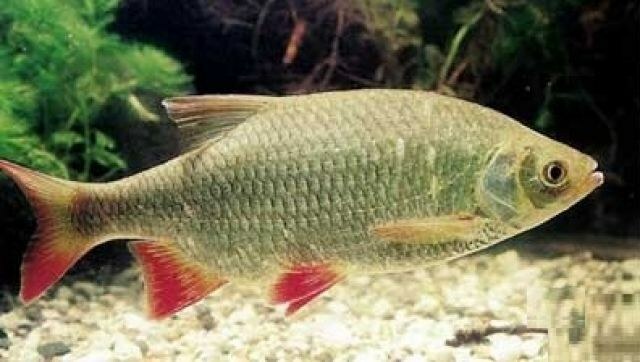 Krasnoglazov easily distinguished from other fishes in pinkish-silver or deep red coloring, and the elongated "body" with very small scales. The fishery for this species is in coastal areas of Australia, Chile, New Zealand, off the coast of Indonesia, Japan, Sri Lanka and India. It is assumed that about 90% of krasnogosky on the Russian market is of new Zealand origin. This fish is full of beneficial vitamins and minerals. Especially a lot of vitamin A and PP, and C, B1, B2, fluorine, chromium, manganese, sulfur, chlorine, phosphorus, potassium and sodium. After thermal processing the meat of fish is very light and krupnoblochnye, easily separating from the bones. Very tasty and the broth from krasnogosky, thanks to the amazing taste, smell and transparency, but the real masterpiece of cookery is considered to be "krasnoglazaya" roll. For a delicious and flavorful loaf of krasnogosky you will need the following ingredients: in fact the fish itself, one carrot, onions, 3-4 raw eggs, a small handful of chopped lemon peel, a slice of white bread, 20 grams of butter, 100-150 ml of milk, salt, pepper and fish seasoning. Of course this recipe is not the easiest, even quite time-consuming, but the result is worth all the effort. First, the fish should be carefully washed and cleaned of scales, and then, if you have such a skill, you can remove the skin "stocking". But it is quite easily torn, so perfect and the next way. Made a deep cut across the back through a large fin, then cut the tip of the tail and head. After that peel easily, and the fish remains "naked", but the whole side of the abdomen. Do not forget about the removal of the gills, which can report the dish not very pleasant bitterness. Carrots and onions should be very finely chop or RUB on a grater, then fry them to the optimum condition (like someone strong roasting, and someone less). Eggs also (not all, leave one) you need to prepare, cook hard boiled fish fillet cut into pieces, and soak bread in milk. Then all these ingredients must be mixed and scroll in a meat grinder. Then to the resulting mixture need to invest one raw egg, lemon zest, butter, salt, pepper and the required spices. Then all the ingredients must be very thoroughly mixed. Now comes the turn of the most time-consuming step, which requires very great care, attention and skill. The skin must be carefully spread out on a flat surface, the filling and spread it evenly. After that, the cut back needs to be sewn up with thread. If you are sure that you will be able to do all these procedures at once with the necessary skill, first stuff and sew only half, then proceed to the second part of the fish. Do not overdo it with stuffing and make it very dense, as in the process of cooking the extracted juice can break through thin skin and leak. It is better to leave some nepomestivshiysya minced meat and fry from it, for example, fish cakes. This krasnopuscha baked in foil for 20 minutes at a temperature of 200 degrees Celsius, and the result is a very tasty dish.